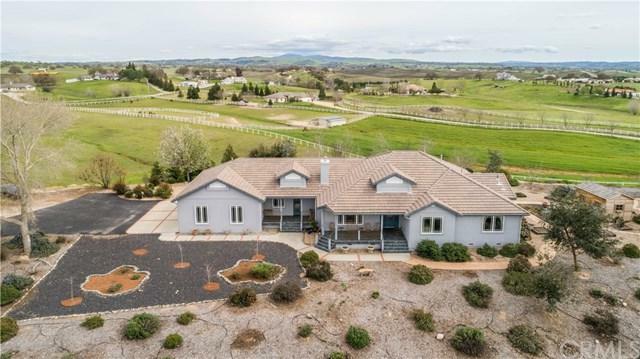 Well Maintained Equestrian Estates Home with Views! 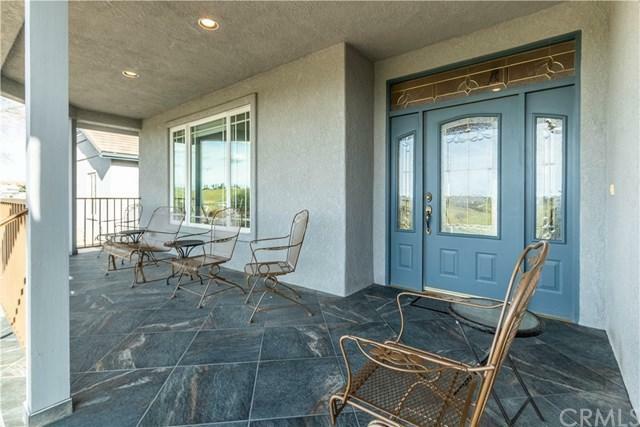 This single level four bedroom home boasts over 3,100 sq ft of quality craftsmanship. 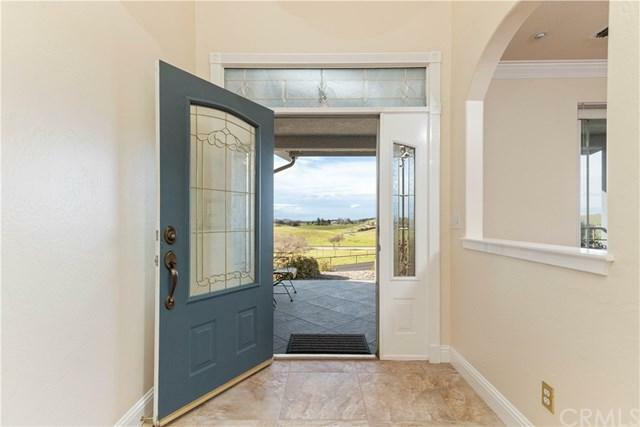 As you enter the property you are greeted by an electric security gate, and a nicely paved driveway and tree lined entry. This property is fenced and cross fenced and has a mare motel and pasture in the front of the property. The home itself has stunning 360 degree views of the pastures, hills, and the vineyard in the distance. 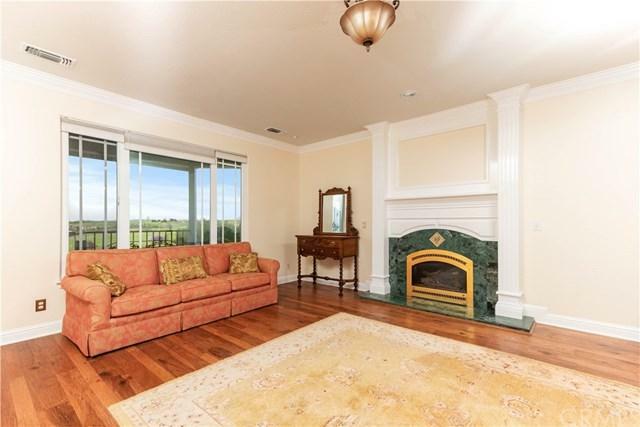 Inside you will find high ceilings, hand scraped hickory floors, and crown moulding. There is both a living room and family room with pellet stove, plus indoor laundry room with sink, and a guest room with it's own private entrance and covered patio. The kitchen features a Dacor 6 burner stove, walk-in pantry, large island with sink, and white cabinetry with built in wine rack. The floor plan is very open and lets in plenty of natural light plus has arches for architectural appeal. This home has a generously sized master suite with walk-in closet, soaking tub, dual sinks, and access out to the back patio and hot tub. The back patio has pavers that also lead over to the shed and gardening boxes, and the front landscaping has been done in a drought tolerant fashion. This property also benefits from Solar which is owned and totally paid for. There is a large meadow in the back that could be a great place for horses, or just to take in its beauty, and water ran all over the property. Come see this beautiful property!